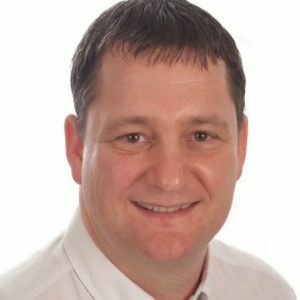 If you have wooden floors in your home or business premises that have become dull, dark and dirty over the years, and you’re looking for a reliable and locally trusted floor care company that provides wood floor sanding in Derby, talk to the team at Bailey’s Floor Care Specialists today to find out how we can bring your wooden floors back to life. 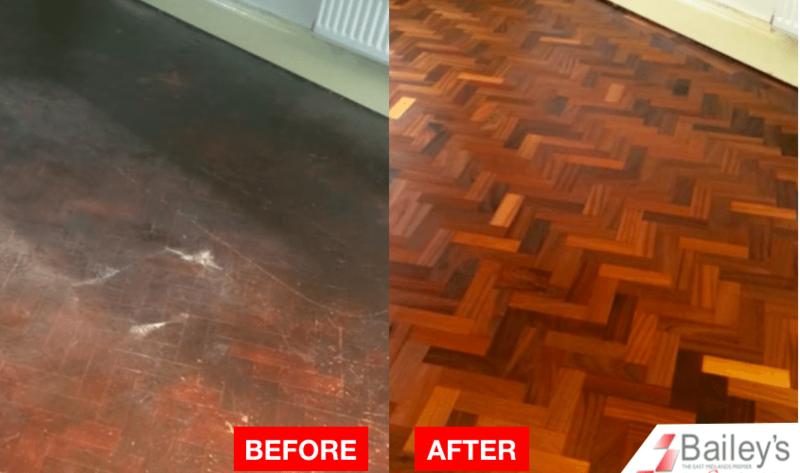 With more than 15 years of experience in providing professional wood floor sanding in Derbyshire, we’ve successfully cleaned and restored the wooden floors of hundreds of home and business owners throughout the Derbyshire community. Over the years, we’ve developed a step-by-step wood floor sanding and restoration process that produces incredible results, every time. We always begin by vacuuming the floor, just to make sure there’s no grit in the way for when we move onto the sanding process. The wood floor sanding process we use is virtually dust-free, with the excess sawdust being collected in the wood floor sander. We mix some of this sawdust with resin, which will be applied to the floor to fill in any small holes and gaps. Once we have re-sanded the floor with a rotary sander to ensure the floor is flat, even and smooth, we can begin the oiling. Your wooden floor will be layered with Pallman Magic Oil, a high quality water and dirt repellant oil that leaves a matte, velvet finish. At this point, your new wooden floor will look absolutely stunning. The wood floor sanding technicians at Bailey’s Floor Care are all qualified to sand wooden floors professionally, and are trained extensively to meet the highest of standards, attending ongoing training courses in order to stay up to date with the best wood floor sanding and restoration methods and equipment. No matter what type of wooden flooring you own – Cherry, Oak, Pine, Rubberwood, Beech, Spruce – our technicians are able to bring your floors back to life. Unlike other companies that provide wood floor sanding in Derby, Bailey’s Floor Care provide a 100% Money Back Guarantee on wood floor sanding services. So, if for whatever reason you’re not satisfied with the service we provided or the results we produced, just let us know. We will come back to your property and re-do the job for free. And if you’re still not happy, we will provide you with a full refund – no questions asked. On top of this, we also provide a 2 year warranty, which is backed by Pallmann Parkettprofi through The Ultimate Floor Sanding Company affiliates scheme, of which we are very proud members. So, if you’re looking for a locally trusted floor care company that provides professional wood floor sanding in Derby, get in touch with the team at Bailey’s now for a free quote. Call us directly on the number above or fill out the quick and easy form on this page and we will get back to you.